The Foundation is dedicated to creating opportunity within the community to support relevance of the horse in today’s world and its unique ability to enhance education, health and quality of life, particularly for the handicapped and underprivileged. Paso Robles Horse Park Foundation! 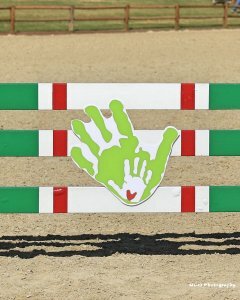 Check out the Paso Robles Horse Park Foundation and the work we have done for Jack’s Helping Hand! SLO Horse News featured the Foundation in a recent article highlighted the Harvest Special Schooling Show. We invited Jack’s Helping Hand to join us for a day of fun, laughter and fundraising. The Foundation is proud to announce that we have donated $20,000 to the Little Riders program for a wheelchair ramp and lift at the new therapeutic riding facility proposed at the Jack Ready Imagination Park in Nipomo. The Park Foundation is proud of our partnership with Jack’s Helping Hand. Funds raised through the Park Foundation go directly towards supporting their equestrian therapy facility being built at the new Imagination Park in Nipomo. 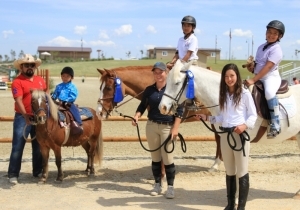 Schooling shows hosted at the Paso Robles Horse Park are designed to provide local hunter/jumper trainers and rider access to the top-of-the-line facility in an approachable, affordable and fun environment. These shows also create a platform for additional fundraising through collaboration with competitors to grow our impact with partner non-profit organizations. 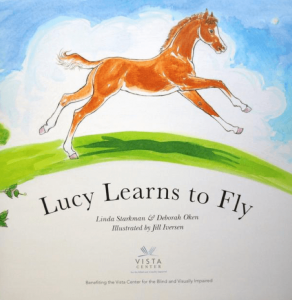 Tells the tale of a visually impaired filly that learns how to walk, run and jump. Books are offered for sale in the Horse Show office and proceeds are donated to the Vista Center for the Blind and Visually Impaired. Books may also be purchased at any time by contacting [email protected]. 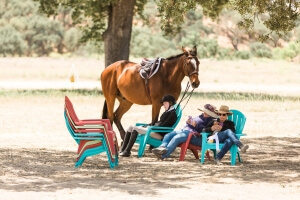 At events hosted at the Paso Robles Horse Park, spectators are encouraged to grab a colorful adirondack chair to sit in while they take in the excitement. Donations collected for the use of the chairs go directly to the Foundation.